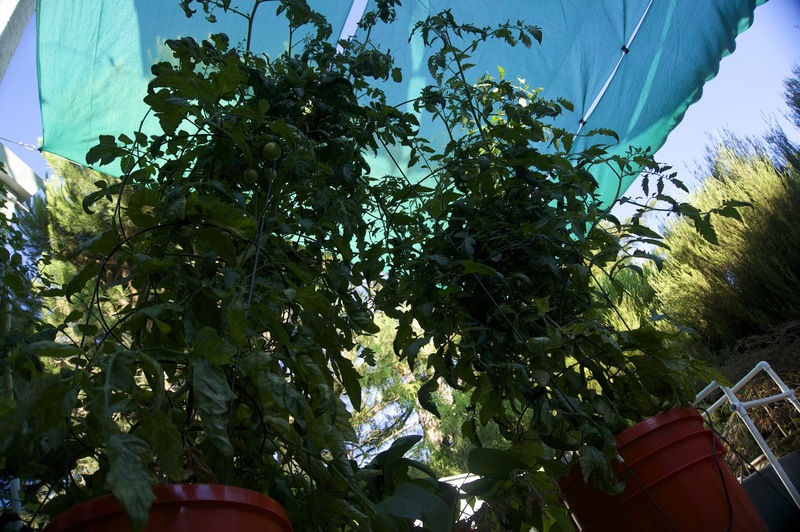 We are growing tomato plants in our aeroponic systems, and they are doing awesome! However, we have discovered that the plants use a lot of water and nutrients. We end up replacing the water and nutrients about once a week. When we first planted the tomatoes, we used the normal set of nutrients (25mL FloraGrow, 15mL FloraMicro, and 5mL of FloraBloom). After reaching three feet, we changed the “recipe” for the nutrients to 15mL of FloraGrow, 25mL of FloraMicro, and 15mL of FloraBloom in 2.5 gallons. We changed this to slow the leaf growth and focus on the flowers and fruiting. 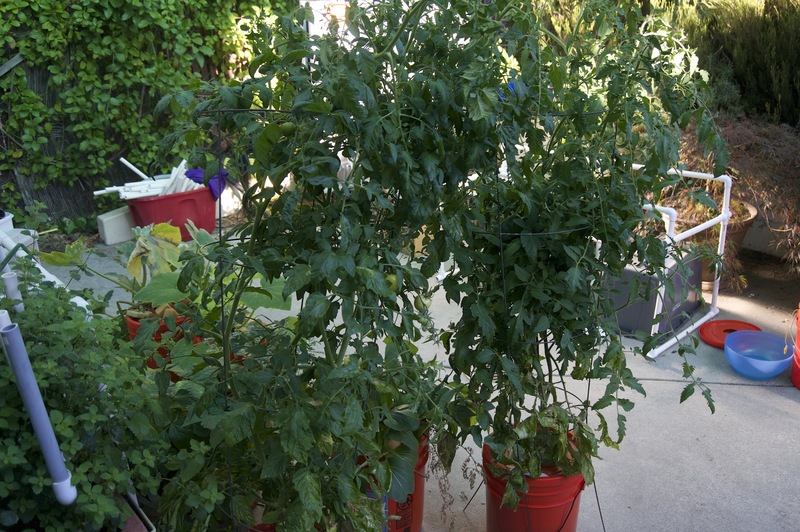 All this work has paid off, the tomato plants are growing really tall! We harvested some tomatoes a couple days ago and they tasted really good. They did not seem to have a problem with Blossom End Rot as we have seen in the squash. 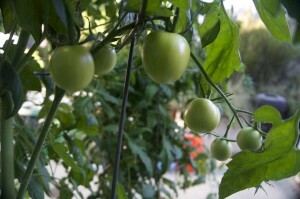 Below is a picture of tomatoes on the plant. 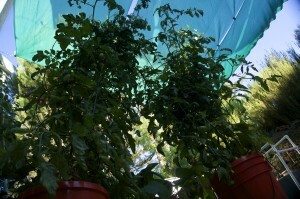 Here are the plants, trying to touch the sky! 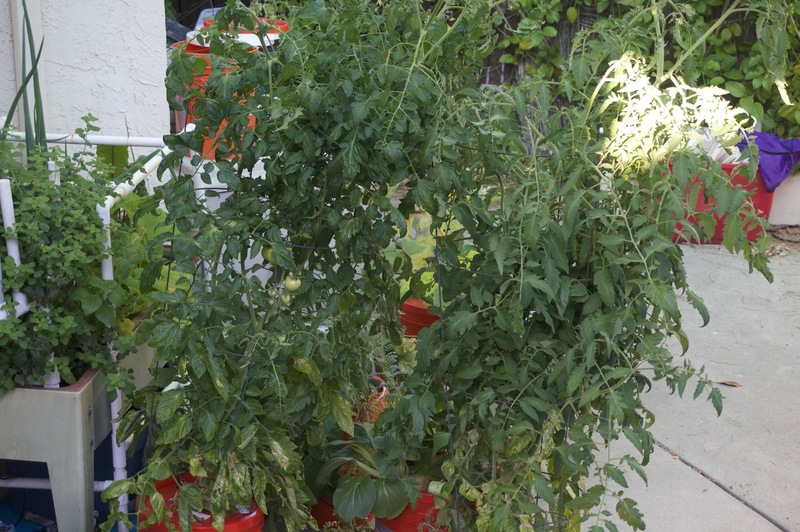 Would be nice to see a video of how you start a tomato plant in a bucket, and the progress od the plant. Keep up the good work.